A website with the title ‘The Inspired Packer’ needs to have some info on packing, although packing isn’t what this site is about. Packing is a signal that a new adventure will soon be underway. Being selective in what I pack enables me to focus on the travel instead of on my belongings. I pack light. I have one carry on bag that is carried like a suitcase or backpack and one messenger style camera bag that doubles as my purse/day pack. 1 large t-shirt and pair of leggings for sleeping at hostels etc. I am very selective about the clothes I bring on a trip. They must be comfortable and wash out in a bathroom sink and dry overnight. A good place to look for quick drying clothes is sporting goods or adventure stores. You can also check out travel sites for their suggestions. This list worked for a 6 week trip that started in a colder region and ended in a warmer region. 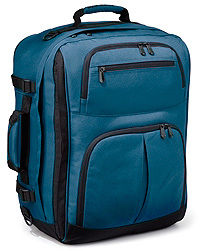 Picture of suitcase and packing cubes used. Great list. I already decided I was going to buy those packing cubes for our upcoming backpacking trip. What kind of shoes do you bring? 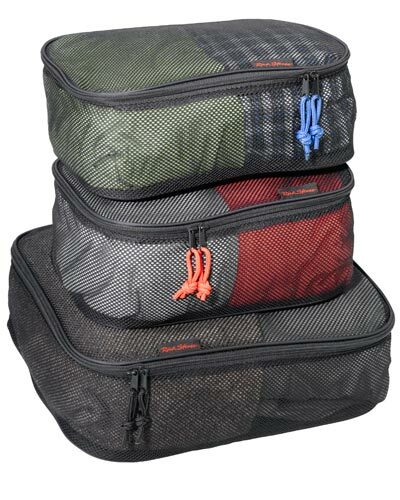 The packing cubes are great. They make it really easy to re-pack your bag when you are ready to leave. I just leave everything in the cubes. Shoes…well, I bought a pair of Keen shoes for both of us and we each had a pair of flip flops, but with all the walking around we did I ended up buying two more pairs on the trip. I purchased a pair of really ugly Finn Comfort clog type shoes in Germany, which were really comfortable and a small pair of sneakers in Amsterdam. My husband was not impressed with all the extra shoes to carry. I haven’t found one shoe that could do everything, yet.